Demo mode is for trying out the Thingsquare platform without any access to hardware. The Thingsquare demo mode runs within the Thingsquare Device Viewer app, which is available for Android and iOS. You can download the app from Google Play or the Apple Appstore, here. 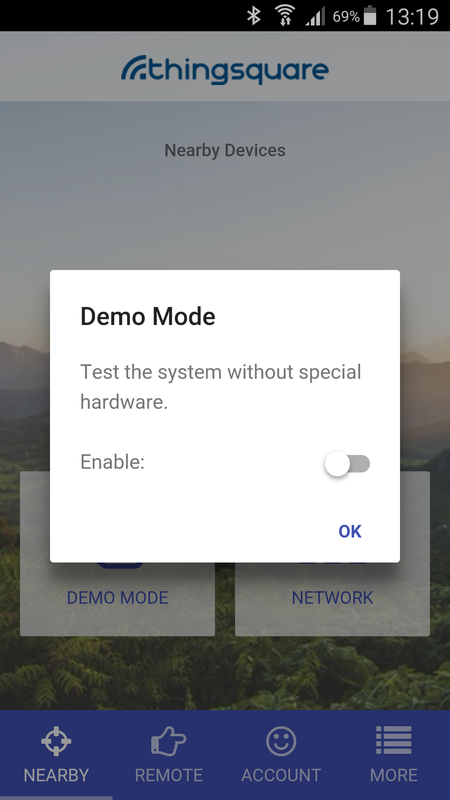 After starting the app, tap the Demo Mode button and enable Demo Mode by flipping the demo mode switch. After flipping the switch, a small light bulb should appear at the top right corner of the screen. 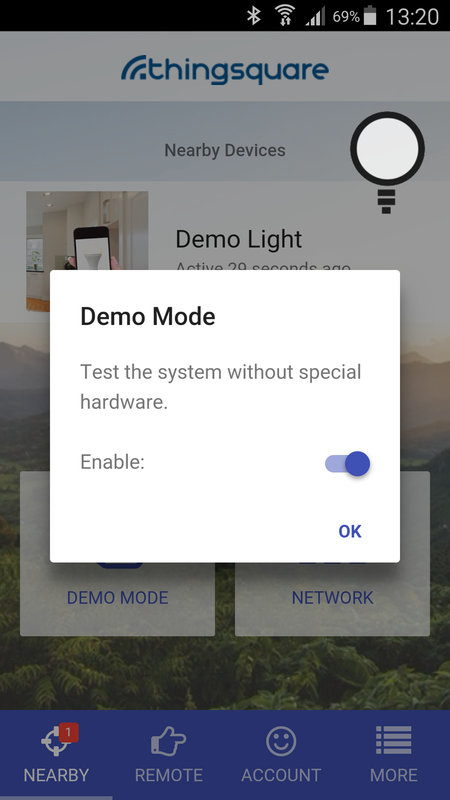 With Demo Mode enabled, a device will appear in the list of nearby devices – a `Demo Light` device. 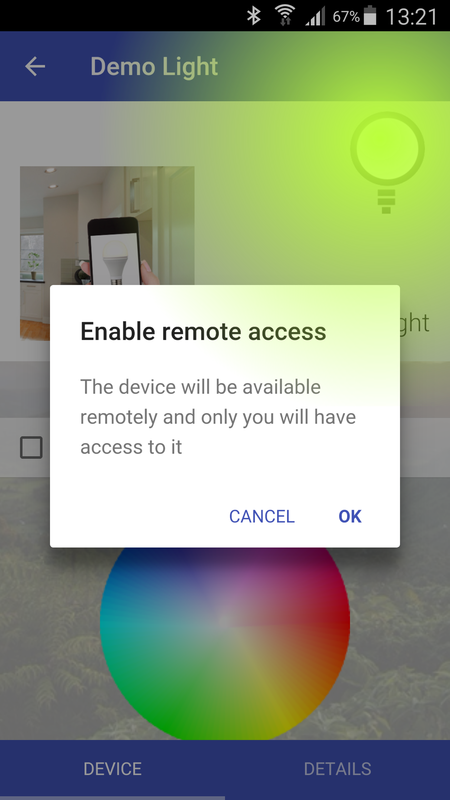 To set the color of this virtual device, tap its name. 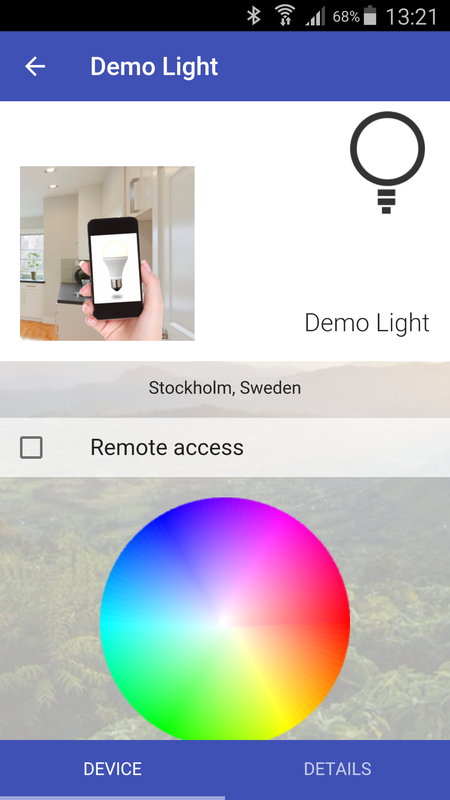 Then tap the color wheel to set the color of the virtual lamp. Remote access is a core feature of the Thingsquare system. It provides a secure and authenticated way to access any device, locally or remotely. Remote access can be enabled for the Demo Light, just like it can for any device in a Thingsquare system. To enable remote access, simply tap the Remote access checkbox. If you are not yet logged in, you will be asked to log in, as remote access is enabled only for logged in users. If you do not have a user account, you will be asked to create one. Once logged in, tap the Remote access checkbox to enable remote access. 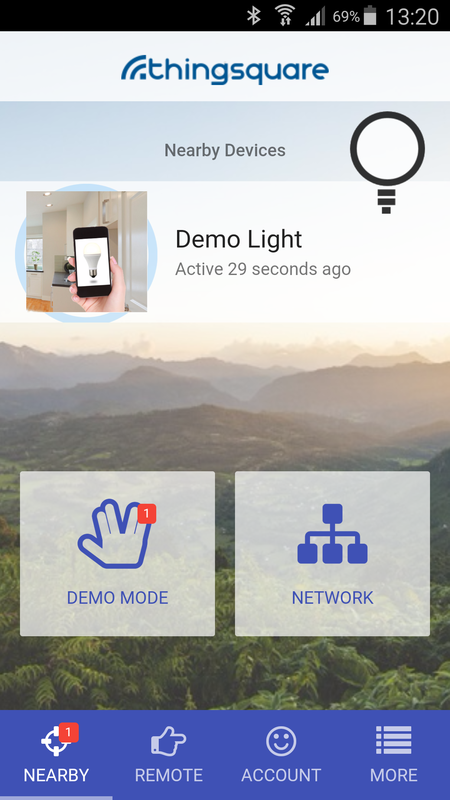 The Demo Light will now be available from anywhere – try logging in to another phone or our online demo app while keeping the phone open. 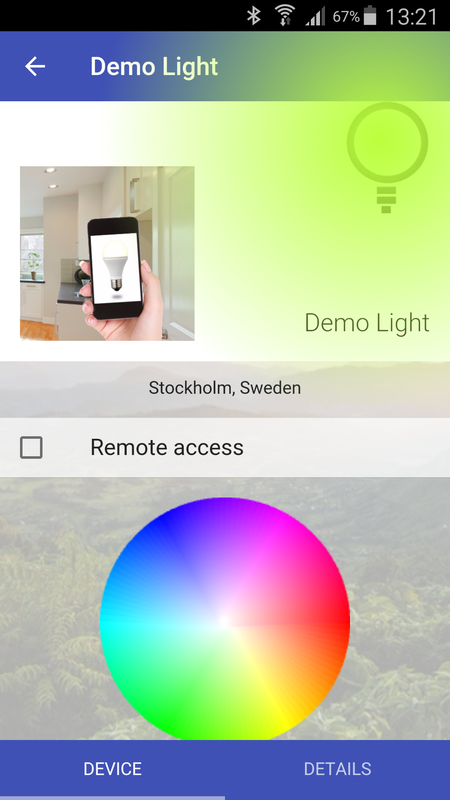 You should now be able to change the color of the Demo Light remotely. Inside the Thingsquare platform, the Demo Light that shows up on the smartphone screen is indistinguishable from a real hardware device. The only difference is that it is a virtual device, living on a smartphone screen, rather than a physical device built with hardware.